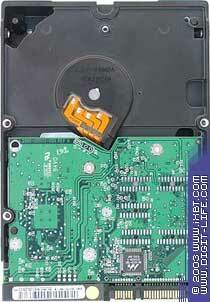 Our readers keep on asking me what hard drive with the SATA interface should they buy. 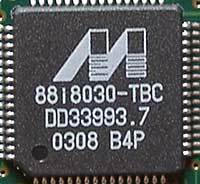 Frankly speaking, it's still early to buy drives with the serial interface for home PCs. They have no advantages except the convenient connection. 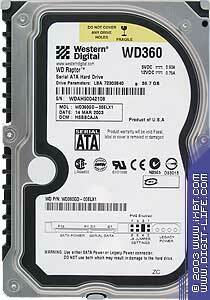 Of course, there is an exception - the 10K drive from Western Digital, but it has another weak point - its size. 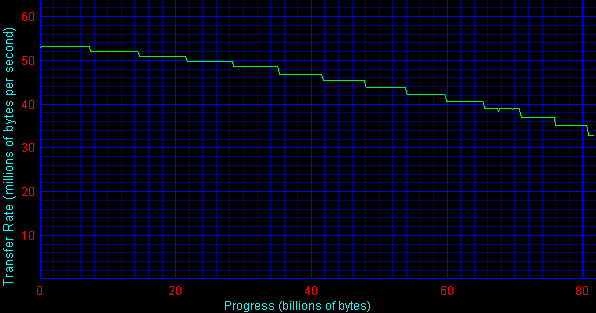 Nevertheless, I decided to gather the results of all SATA drives at hand which were tested on the same controller. Some of them (Seagate Barracuda ATA V, Samsung SP1614C and WD360GD) were examined before, the WD2500JD will be discussed later, and the Maxtor 6Y080M0 is a new-comer. 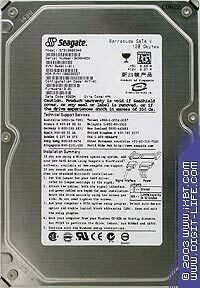 The models are not the latest - the Seagate Barracuda 7200.7 wasn't tested yet, and the Maxtor drive turned out to have 60GB platters again. Nevertheless, I hope this roundup will be useful, and it will be updated as new models come here. The drive belongs to the DiamondMax Plus 9 line. The models with the serial interface have the size of 60, 80, 120, 160 and 200 GB. This line is a little strange - here you can find drives with 60 and 80 GB platters under the same names. Some time ago the problem looked to be solved - the drives with 60GB platters had the firmware version VW0, and the 80GB ones had BW0. 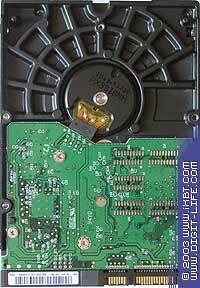 But later our colleagues from F-Center found drives with the firmware BW0 and 60GB platters! I tested exactly such drive. Soon they offered a new way of identification of the drives. 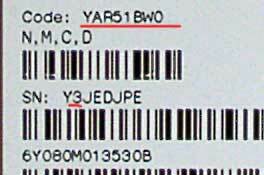 It looks like that the second figure in the drive serial number (see the photo) indicates the number of heads. But it's not all. The guys at Maxtor seem to have a really rich imagination. It looks as if the drives check every sector when addressing it for the first time, but this is mentioned nowhere! This fact has certainly affected the test results. 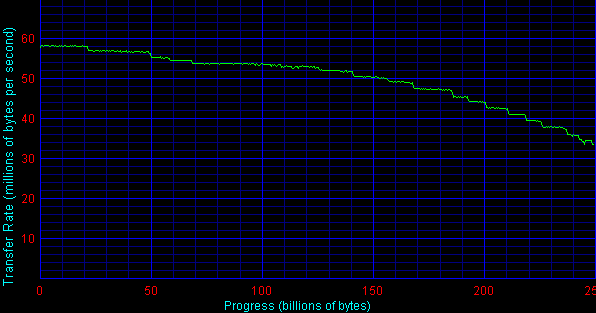 Now all drives of this line are recorded in full before the tests. 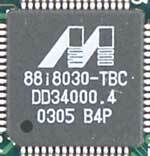 The Serial ATA of this drive is realized with a bridge. Power supply is combined of Legacy and Serial ATA. (I do not recommend supplying power to both connectors at once as the drive can get damaged). This drive is from the SpinPoint P80 line. Its density is 80 GB per platter. Unfortunately, I couldn't make it out from the site what size the serial drives have. If I'm right, they are 80, 120 and 160 GB. 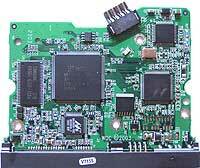 The SATA interface is realized with the bridge as well. Serial ATA power supply. The drive comes from the Barracuda ATA V line which also includes a 120GB model. The record density is just 40 GB per platter. 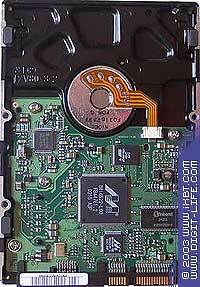 Seagate is the only large hard drive maker today which realizes the Serial ATA interface without any bridges. Serial ATA power supply. 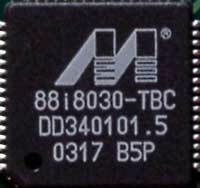 The company produces two lines of Serial ATA drives. This is the only model in the line of drives with the speed of 10000 rpm. The size is 36.7 GB. Performance is its trump. The interface is based on the bridge. This is a model from the line of 7200 rpm drives. Its strong point is its size. The line also covers models of 120, 160 and 200 GB. According to the information on the site, this model has a version with two platters (the record density is 125 GB per platter!!!) 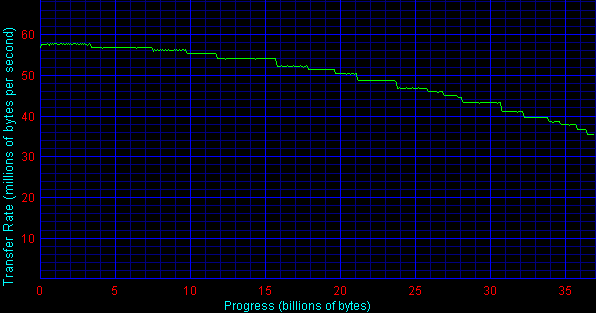 and a version with three platters (~ 83 GB per platter). But don't worry, - actually, the same information is provided for all drives of the Spetial Edition Serial ATA line. 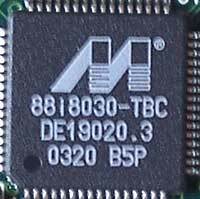 The electronic section is traditionally on the inner side of the board. The interface is again based on the bridge; power supply is combined. The drives' specs are given in the table. Well, let's see how they perform. The scores do not contradict to the physical laws. The diagrams prove it. The average read speed looks logical as well. 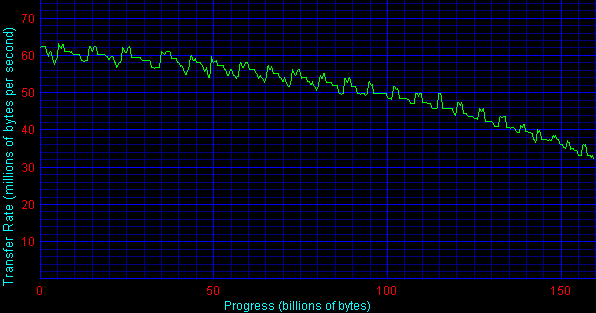 But I'm quite skeptical about the write speed in the HDTach benchmark. No surprises so far. That's good for users. The WD360GD is undoubtedly a leader. Let's have a look at the scores of the rest. The Samsung falls a little behind at heavy loads, and the Maxtor looks rather pale. In this pattern the Samsung looks best of all, and the Maxtor is behind again. The leader is the WD2500JD. The Maxtor traditionally drags behind. In case of the random reading the scores are very close, and in the random writing mode the WD2500JD goes ahead. Have a look at the database pattern with the changing correlation of read/write requests. The WD2500JD performs better at heavy loads. Now we proceed to the serial modes. 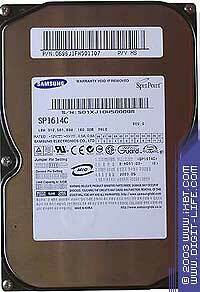 The drives get requests for reading or writing of data blocks the size of which gradually grows up. The queue depth is fixed at 4 (very light). The drives from Western Digital perform in an unusual manner. 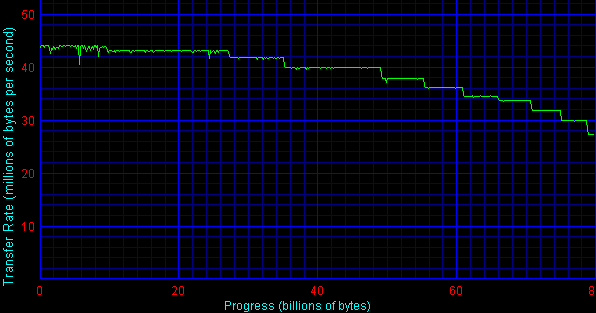 The WD2500JD doesn't like 1KB blocks, and the Seagate doesn't favor 8KB ones. 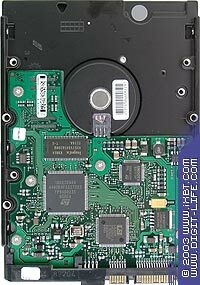 The Samsung SP1614C seems to be the quietest drive, with the Seagate (?) following it. 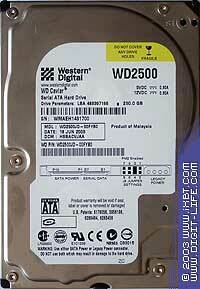 The WD2500JD makes a bit more noise, and the noisiest among 7200 RPM drives is Maxtor. The WD360GD is undoubtedly beyond the competition. So, if you need speed go with the WD360GD, if you need a sizable drive take the WD2500JD which also demonstrates excellent performance. If size is not critical for you, the Samsung or Maxtor can be a good choice too. 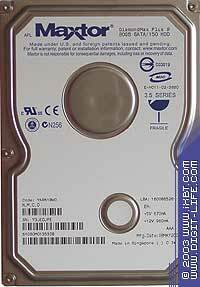 At the same time, the Seagate Barracuda ATA V line looks already dated.